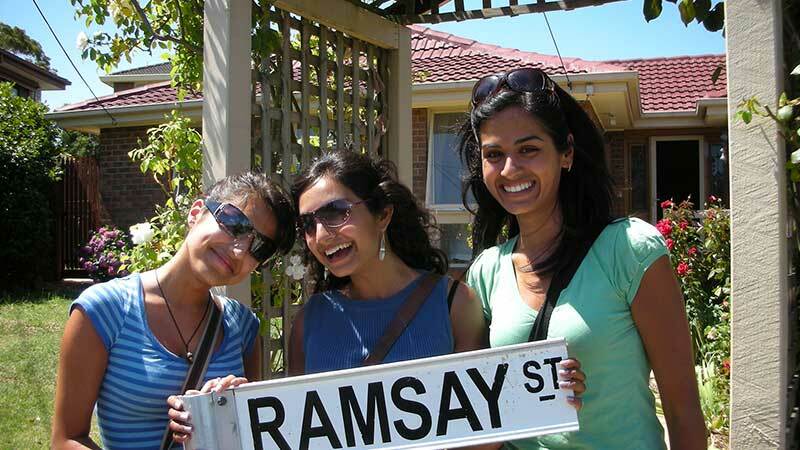 Step onto Ramsay Street, home of the famous Neighbours Australian TV Show. On this tour, you’ll get the chance to meet some of your favourite stars from the show as well as explore the studios and other famous places in the show. This is a must-do for the true Neighbours fan. Step into the Neighbours world, where the dramas unfold every day on the set of Australia's long-running soap opera. On this official weekday tour, you’ll meet one of the cast members (past or present) and you’ll see the actual houses and the street that is the backdrop of this internationally loved Aussie TV show. On board, the guide will provide you with heaps of gossip, laughs and on board entertainment.